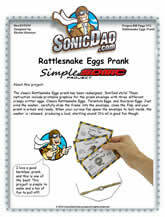 The classic Rattlesnake Eggs prank has been redesigned, SoniDad style! 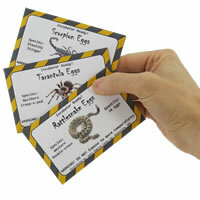 These instruction include printable graphics for the prank envelope with three different creepy critter eggs: Classic Rattlesnake Eggs, Tarantula Eggs, and Scorpion Eggs. 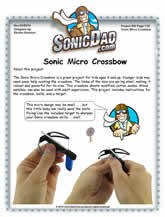 Just wind the washer, carefully slide the frame into the envelope, close the flap, and your prank is armed and ready. When your curious foe opens the envelope to look inside, the washer is released, producing a loud, startling sound! It?s all in good fun though.